Every year, nearly 30 million Americans see a therapist — and some of those patients are therapists themselves. What does that mean? Simply that therapists are human. 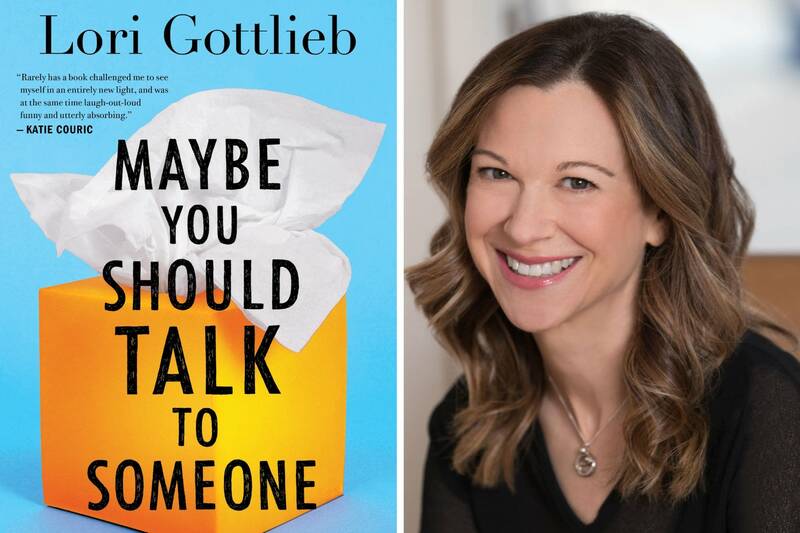 That's the thesis of psychotherapist Lori Gottlieb's new book, "Maybe You Should Talk to Someone." Part memoir, part case study, the book follows five patients as they go through therapy — one of them Gottlieb herself. She is reeling after a breakup, and during her own turns on the couch, she questions the same things her own patients do: love and desire, meaning and mortality, guilt and redemption. "A therapist will hold up a mirror to patients, but patients will also hold up a mirror to their therapists," she writes. "Therapy is far from one-sided; it happens in a parallel process." MPR News host Kerri Miller talked with Gottlieb about her new book and about the realities of therapy — what it can, and can't, do for us. Lori Gottlieb is a psychotherapist and author of the new book "Maybe You Should Talk to Someone: A Therapist, Her Therapist and Our Lives Revealed"
This show is part of "Call To Mind" -- MPR's initiative to foster new conversations about mental health. Learn more at on their website.